In April of 2013, an exemplary senior at Yale University named Michele Dufault was killed just weeks away from graduation while working late at night on her senior thesis in the school’s student machine shop. 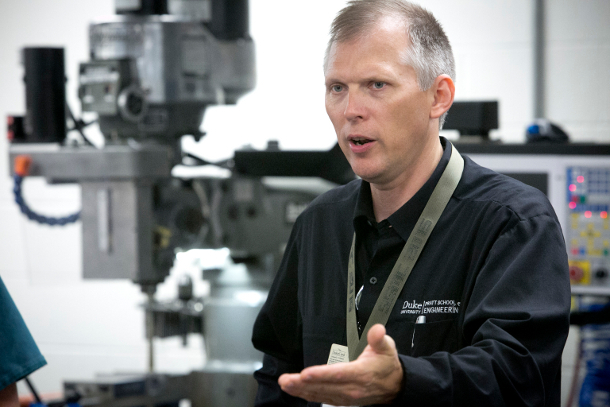 Steve Earp, manager of the Pratt School of Engineering Student Machine Shop at Duke University, wants to make sure such tragedies never happen again. Earp spent the past year searching out the managers of student machine shops across the country and inviting them to a conference to network and talk about best practices. The conference took place at Duke from July 14-16, and hosted more than 60 student shop managers from coast to coast. It was the first of what Earp hopes will be a regularly held meeting. 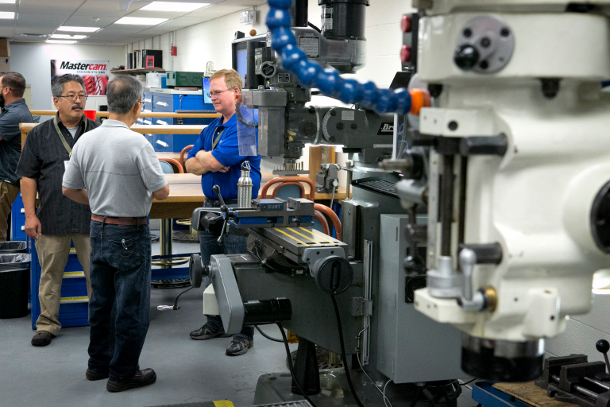 Currently, student machine shops across the country have vastly different rules. Some require staff supervision while others are entirely student-run. Some have students simply drop off their projects so that staff members can complete the machine work for them, while others are open into the wee hours of the morning with no supervision. The conference explored differences between shops, established ties for shop managers to seek advice from their peers, and started discussion about what Earp hopes will become a standard set of best practices to help protect students nationwide. Vendors were also present, demonstrating safety equipment and contributing updated information regarding national Federal Surplus offerings. As a result of the conference, a network of communication was established providing an interactive Facebook group, Linked-In contacts, and shop equipment surveys. This will be beneficial in allowing members to access group support and troubleshoot issues that arise on a daily basis. Feedback from conference attendees was highly encouraging, and the group has already announced the Second Annual Student Shop Managers Conference, to be hosted by Georgia Tech in July 2016.